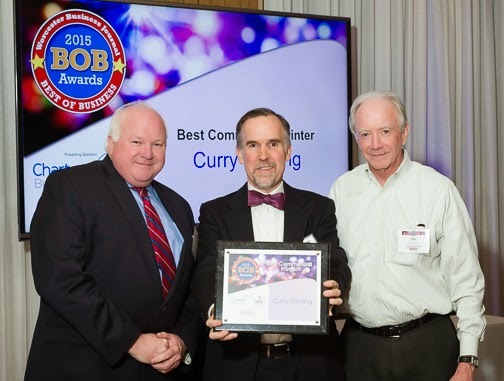 For the second year in a row, Curry Printing was awarded the regions “Best Commercial Printer” at the Worcester Business Journal’s 2015 Best of Business (BOB) Awards. The event was held on Thursday, January 29th at The Urban Kitchen and Bar on Shrewsbury Street in Worcester. Attendees included business professionals from companies who were selected for excellence in their individual industry or category. 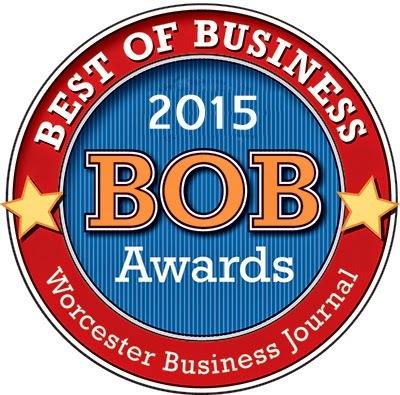 The Best of Business Awards are given based on an online readers’ poll conducted by the Worcester Business Journal (WBJ). This year marked their second annual online survey. It was used to determine the best business-to-business companies that provide the best service, attention to detail and most customer-focused employees who deliver outstanding products and services. Peter Gardner, Curry's President said, “This award holds such a special meaning to us. It's given based on the feedback and polling of WBJ's readers who are ultimately our clients as well. To win for a second year in a row is truly an honor. We couldn't be more thrilled and humbled to receive it." If looking to purchase Pinterest Followers of the Maximum quality And value, you have come to the ideal place. Media Mister specializes exclusively in 100 percent real, lively and verified Pinterest Followers from all around the world. If prepared to take your Pinterest performance to the next level, purchase Pinterest Followers from Media Mister today. PayPal is rates framework is dependent upon the quantity of your own PayPal transactions, throughout most of its professional services. Payments are gotten with your PayPal accounts at best card readers within seconds but you’ll have to wait around the typical 3-5 company times for money to arrive at your checking account.